OK, it’s a bit of a catchpenny title for a post, but here’s an intriguing bit of history. I’ve been reading Jenny Hartley’s Charles Dickens and the House of Fallen Women. It tells the story of Urania Cottage, which was established in 1847 by the novelist Charles Dickens and the banking heiress Angela Burdett-Coutts. It was designed as an alternative refuge to the workshouse and usual reformatories for homeless young women whose lives were being ruined through poverty, imprisonment and prostitution. The intention was to show kindness where most regimes stressed guilt and punishment, inculcating its inhabitants with domestic virtues before shipping them off to the colonies in the hope that they would settle down happily in new lands. Urania Cottage was located in the Shepherd’s Bush area, then farmland to the north-west of London. It operated as a women’s home for around fifteen years before changing hands, and Hartley tells us that just a single photograph exists of the building, taken in 1915. 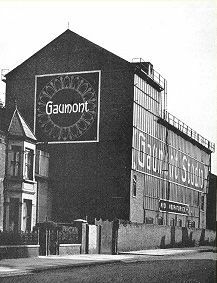 And there next door to the house is a huge building with glass walls and roof, which is instantly recognisable as the Gaumont film studios at Lime Grove, founded in 1915. One is thrilled at the discovery and eager to demonstrate connections between the two. Did Gaumont produce any Dickens-based films at this time? Sadly no. The studio (which stayed glass-roofed only until 1917) went on to play a notable part in British cinema and television history. It was home to Gaumont and some Gainsborough productions (when Gainsborough wasn’t using its Islington studio), where Hitchcock filmed The 39 Steps and The Lady Vanishes, and where Gainsborough ladies like Patricia Roc, Margaret Lockwood and Phyllis Calvert formed a curious echo (“a new set of inmates” as Hartley puts it) of Urania’s inhabitants. There don’t seem to have been any Dickens-related films ever made at Lime Grove, though David Lean, future director of Great Expectations and Oliver Twist, did start out at Lime Grove as a tea boy and then cutter. Then the BBC took over the studios and made programmes there from 1950 to 1991, including Nineteen Eighty-Four, Steptoe and Son, Dr Who, Tonight, Top of the Pops and The Late Show. 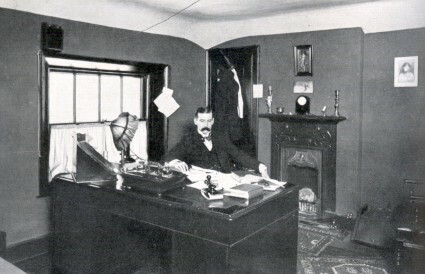 Offices and dressing-rooms were available in an adjacent house attached to the main building. This was Urania Cottage. It was used as studio offices, dressing-rooms and apparently even bedrooms for performers staying over at the studio during the Blitz, though the original cottage was soon converted (it is unclear when) and replaced by a new house on the same site. 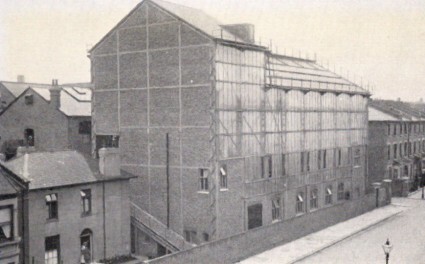 Despite what Hartley says, there is at least one other photograph of the studios in 1915 (reproduced at www.gaumontbritish.com) which shows Urania Cottage, though at such a sharp angle and so obscured you would have to know it was there to recognise it tucked behind the building in front of it. Judging from the large Gaumont logo, this probably dates from a few months later, with the photograph at the top of this post depicting the studios still under construction. The building that now fills the space where Urania once stood can be seen in photographs of the studio in its BBC days, as in this one from www.bbctv-ap.co.uk. 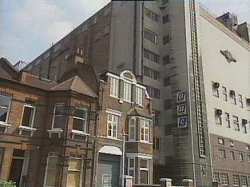 The studio was demolished in 1993, and the space is now filled by housing. Urania Cottage was a well-intentioned initiative albeit with rather fixed ideas about what was good for its inmates (those who signed up had to agree to the emigration plans, which put off many would-be applicants who found it hard to see the difference between emigration and transportation). Those who lasted what was usually a year at Urania were then shipped out to Australia, South Africa and Canada, with mixed results it would appear from the available evidence. Rather appropriately, on the site where Urania Cottage once stood there is now a hostel for the homeless, run by the St Christopher’s Fellowship. Thus film production comes and goes, but charity lives on. So farewell then to Eric Sykes, one of Britain’s best loved funny men. He was a natural comic performer, generally playing someone confident that he knew what he was doing while demonstrating time and again that he had no reason to be so, best exemplified by the long-running TV sitcom Sykes. He was also one of the most talented comic writers of his time, writing for Educating Archie, Tony Hancock, The Goons, Frankie Howerd and his own shows. Like many of his generation of comedians, he had an immense affection and respect for the great silent comedians. Some, such as Bob Monkhouse and Michel Bentine, presented compilations of silent comedies on television to bring them to new audiences. Others, such as Ronnie Barker (with A Home of Your Own, Futtock’s End, The Picnic, By the Sea), Benny Hill (The Waiters, Eddie in August), and in recent years Paul Merton, David Schneider (Uncle Max) and Rowan Atkinson (Mr Bean) have continued the tradition, with varying degrees of homage to the past – and with varying success. Eric Sykes made a number of silent, or near-silent slapstick comedies, of which the most famous and still fondly loved is The Plank, of which three versions were made. It started out as a wordless, black-and-white episode of his BBC TV series Sykes and a …, the episode being Sykes and a Plank (tx. 3 March 1964), in which the two protganists were Sykes and regular co-star Hattie Jacques. 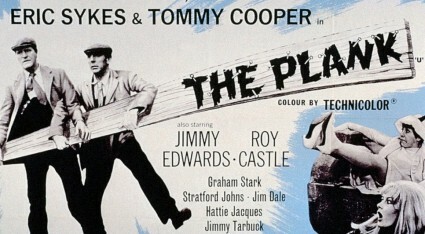 In 1967 Sykes remade it as a 54-minute colour cinema release, co-starring himself and Tommy Cooper. This was then re-released in 1974 cut to 45 minutes, before a third version (30mins) was made for Thames Television in 1979, with Arthur Lowe replacing Cooper. It is the 1967 film that is the most familiar. Sykes (who lived in a silent world himself – he was almost completely deaf) made other silent shorts for cinema and television: Rhubarb (1969, remade as Rhubarb, Rhubarb in 1980) in which the characters utter just the one word (guess what it is), It’s Your Move (1969, remade in 1982), Mr H is Late (1988) and The Big Freeze (1993) among them. But it is The Plank that has retained a classic status of a kind. The story is simple – two builders purchase a floorboard for the house they are working on, and encounter all manner of hazards trying to transport it across town. Judged by the standards of the comedy greats of the 1920s, it is average stuff, but Sykes and Cooper have the right deadpan delivery in the face of absurdity, and in its scenario of an inanimate object geting the better of two men it merits some comparison with Laurel and Hardy’s travails with a piano in The Music Box. The simple plank (much like the large plane of glass) is a silent comedy staple in any case. The twist is that here the plank gets star billing (literally so in the 1967 film’s opening credits). The Plank and its creator show a continuity of laughter down the years. Slapstick itself no longer has the popular appeal that it once enjoyed, but Chaplin, Keaton, Lloyd et al (themselves inspired by an earlier generation of theatre comics) inspired the next generation of comedians such as Eric Sykes who flourished on radio and television, whose works then made the next generation laugh when young and inspired them to make others laugh in their own time (as the many affectionate tributes to Sykes from today’s comedians has demonstrate). It’s a continuous process of inheritance and gratitude. Comedy dates, but laughter is eternal. Thank you Eric. There have been many warm tributes recently to the late Andrew Sarris, the great film critic. Sarris was renowned for his advocacy of the auteur theory, in which the director of a film is judged to be its primary author when considering a film’s status as a work of art. Not all film directors can be auteurs, however, or so the argument goes – it is predominantly an elite whose distinctive stamp marks out those films that are truly great. Well, may be so, but if there are film auteurs out there I do not think that they have always to be directors, or creators of fiction films, or indeed exclusively filmmakers. A case in point is the late Dai Vaughan, who died last month, to somewhat less recognition from the film world. Vaughan was a film artist – or perhaps more properly an artist who worked within film – whose commitment to that art was every bit as notable as a Hitchcock, a Ford or a Hawks. But Vaughan was a documentary film editor, and consequently an invisible man, to use the phrase that employed for his outstanding study of the editor behind Humphrey Jennings’ documentaries, Stewart McAllister, Portrait of an Invisible Man (1983). 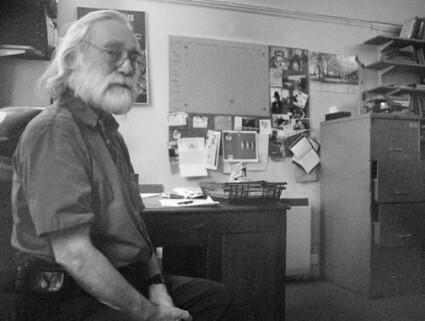 Dai Vaughan (1933-2012) worked in the heart of film for over thirty years. He discovered the medium at the National Film Theatre in London in the 1950s, and joined the London Film of School Technique, going on to make films for the Labour Party, including the documentary Gala Day (1963) and a number of party political broadcasts. Establishing himself as a documentary film editor, he worked on some of the most notable British television series of the 60s and 70s: Granada’s social affairs World in Action and the great anthropological Disappearing World, the BBC’s arts series Omnibus and Roger Graef’s pioneering fly-on-the-wall series The Space Between Words (1972) and Decision (1975-76). Vaughan’s social and political commitment, and his deep interest in how film can document, came out equally in his films and in his writings. His study of Stewart McAllister (practically his alter ego) is an inspired recovery of a lost life and a buried art, demonstrating as it does with what subtle artistry McAllister turned the wartime documentary inspirations of Humphrey Jennings into such exceptional works of arts as Listen to Britain and Fires were Started. However his greatest work is a collection of essays, For Documentary (1999). Were I to be restricted to just ten books on film in my library, then For Documentary would be one of them; and were I then only allowed to keep one, For Documentary might be it. For ideas that grip you and stay with you, fine style, knowledge based on practical experience and depth of undertanding, there is little in the field that surpasses it. The book covers such subjects as ethnographic film, films of the Olympic Games, fabriciation in documentary and a prescient essay from 1994 on the digital image bringing about the death of cinema. But my favourite piece, and the reason for writing about Vaughan in a blog concerned with silent cinema is the opening essay, ‘Let there be Lumière’. As audiences settle for appearances, according film’s images the status of dream or fantasy whose links with a prior world are assumed to have been severed if they ever existed, film falls into place as a signifying system whose articulations may grow ever more complex. True, the movement of leaves remains unpredictable; but we know that, with the endless possibility of retakes open to the filmmaker, what was unplanned is nevertheless what has been chosen: and the spontaneous is subsumed into the enunciated. Even in documentary, which seeks to respect the provenance of its images, they are bent inexorably to foreign purpose. The “big bang” leaves only a murmur of background radiation, detectable whenever someone decides that a film will gain in realism by being shot on “real” locations or where the verisimilitude of a Western is enhanced, momentarily, by the unscripted whinny of a horse. A Boat Leaving Harbour begins without purpose and ends without conclusion, its actors drawn into the contingency of events. Successive viewings serve only to stress its pathetic brevity as a fragment of human experience. It survives as a reminder of that moment when the question of spontaneity was posed and not yet found to be insoluble: when cinema seemed free, not only of its proper connotations, but of the threat of its absorption into meanings beyond it. Here is the secret of its beauty. The promise of this film remains untarnished because it is a promise which can never be kept: a promise whose every fulfilment is also its betrayal. ‘Let there be Lumière’ is a standard text on some film studies courses, and it has been much quoted down the years since it was first written in 1991. Yet its insights remain as fresh as ever, and its analysis of the workings of the first films as hypnotically entrancing as the endlessly watchable Barque sortant du port. You can find the full essay reproduced on World Cat, but I warmly recommed the complete book. Vaughan knew his silent films, and throws in references to E.J. Marey, Laurel and Hardy, The Battle of the Somme and Charles Urban, alongside such diverse artists (film and non-film) as Federico Fellini, Adrian Cowell, David Hockney and Dorothy Richardson. Film for Vaughan is related to everything else in our culture, and all that we are may be illuminated through film. 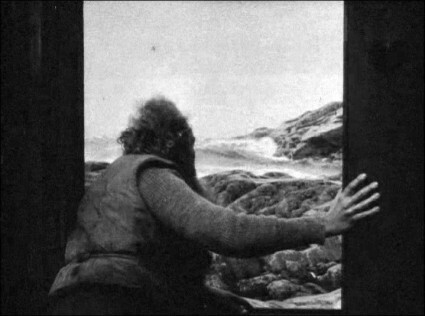 Vaughan was also a poet and an experimental novelist, who with works such as Cloud Chamber, Moritur and Totes Meer, explored the mysteries of recovering the past in a form profoundly analogous with that of the filmmaker (the protagonist of Moritur is a film editor). As filmmaker, editor, essayist, reviewer, critic, novelist and poet, Vaughan’s work was consistent, interconnected, profound, auteurist. A month from now the London Olympic Games will begin. For two weeks hundreds of cameras will be trained on the athletes, images of whom will be beamed out to billions. The host broadcaster, the BBC, will provide over 2,500 hours of live coverage. Olympic Games footage will be receivable on TV sets, PCs, smart TVs, smart phones, on large screens in public spaces, and in 3D. The Olympic Games exists for our screens. 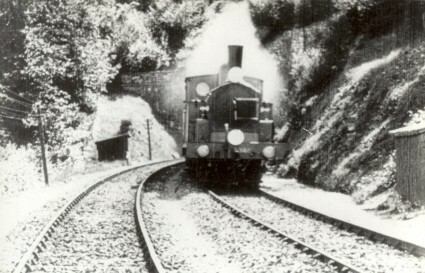 Perhaps nothing better illustrates the ubiquity, power and global shared experience that the motion picture has grown to represent from its simple beginnings in 1896 than that concentrated period, every four years, when it covers the Olympic Games, a phenomenon which likewise traces its (modern) roots to 1896. Four years ago the Bioscope produced a survey of the roots of Olympic moving image production, from the earliest years to 1928. We are reproducing that post, with revisions and new information, including recently discovered films, as our way of marking the forthcoming Games. The modern Olympic Games and motion pictures share a common heritage, beyond that shared birthdate of 1896 (motion pictures existed before 1896, of course, but 1896 was when they first made their real impact upon the world). The two phenomena grew up together, in sophistication, intention and global reach. To view the films of the early Olympic Games is to witness the growth of the medium in how it captured action and form, from analysis, to (relatively) passive witness, to a medium that shaped athletic events to its own design. We see a transition from a formality bred of militaristic roots to entertainment, art and a focus on the individual. The survey that follows summarises the history of the Olympic Games on film throughout the silent era, that is, to 1928. No one filmed the first Olympic Games of the modern era. 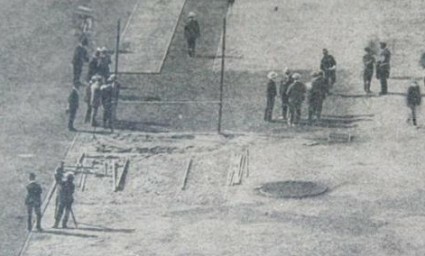 The Games, which were held in Athens 6-15 April and attracted 241 athletes from fourteen nations, enjoyed some notice around the world, probably appealing as much to classicists as to athletes, but the motion picture industry was in its infancy and not as yet geared up to reporting on world news. Motion pictures had not yet reached Greece, America would only awake to motion pictures on a screen on 23 April, with the debut of the Edison Vitascope, and the Lumière brothers – really the only possible candidates – did not think to send one of their operators to Athens. Occasionally on television you will see film purporting to show the Games of 1896. 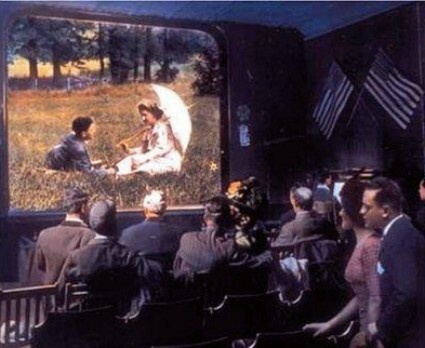 Such scenes are false – in most cases, you are being shown images from 1906. The 1900 Games were something of a disaster after the modest triumph of Athens. Organised to run alongside the great Paris Exhibition of 1900, the Games were barely recognised as such, being so chaotically organised and poorly promoted that many of the athletes who did take part in the events (which stretched from May-October 1900) were unaware that they had taken part in the Olympics. It is no surprise, therefore, than no standard films were made of Paris Games (several films of the Paris exhibition survive, but none show the athletic contests). However, fleeting cinematographic records do exist. The Institut Marey, the scientific institute led by Etienne-Jules Marey, who had developed the art and science of chronophotography (sequence photography undertaken for the purposes of analysing motion), decided to record some of the visiting American athletes, to compare their methods with those of French athletes. Alvin Kraenzlein (winner of gold medals for long jump, 60 metres race, 110 metre hurdles and 200 metre hurdles), Richard Sheldon (illustrated, gold medal winner in the shot put), and the legendary Ray Ewry (exponent of the now discontinued events of standing high jump, long jump and triple jump) were among those recorded. 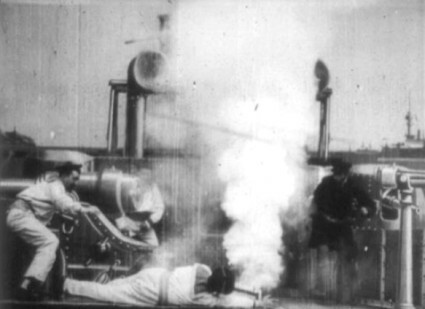 The ‘films’ are a few frames long, lasting less than a second each, yet they were enough to demonstrate the superiority of the dynamic attack of the American technique over the correct military bearing of the equivalent French athletes. These fleeting images survive today – there are examples in the National Media Museum – and illustrations from them can be found in the official report on the Games. Paris was a disaster for the nascent Olympic movement, but St Louis was worse. Again, they went for the convenience of being part of a general Exposition, and again the Olympic events were mismanaged from start to finish, with little sense of a Games with a distinct identity, and the distant location putting off many athletes not hailing from America. Nor, to the best of my knowledge, were any films taken on the Games – certainly I’ve found no evidence from catalogues of the period of any such film being taken. The intercalary Games of 1906 did not occur during an official Olympiad (i.e. the four-yearly period that marks when the Olympic Games are held), but this intermediary contest, designed partly as a sop to the Greeks who were disappointed that the Games were not being held permanently in Athens, was a relative success and did much to get the idea of the Olympics back on track. It also attracted the film companies. Gaumont and Pathé from France, the Warwick Trading Company from Britain, and Burton Holmes of America all made short films of the Games (we are long way yet from feature-length documentaries). Three one-reel films survive. Gaumont’s coverage held by the BFI concentrates on the opening ceremonies and gymnastic displays; recently discovered Pathé footage uncovered as part the Corrick Collection in Australia includes the opening and closing ceremonies, tug o’ war, hurdling, cycling, gymnastics), and medals ceremonies; the brief unidentified footage, also held by the BFI, shows the standing high jump. The Games started to come of age in London in 1908. 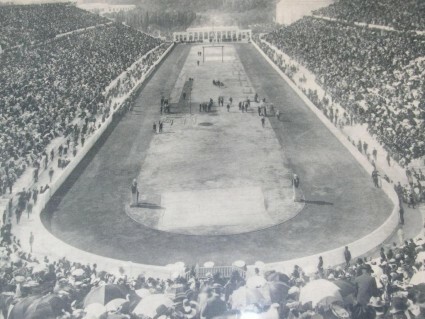 Although they were again held in tandem with an exhibition, in this case the Franco-British Exhibition, for which the famous White City and associated stadium were built, this time the Games were welcomed by the organisers. The result was a popular success and a qualified triumph for sport – the qualification being necessary because the Games were marred by some bitter rivalry between America and Britain, geo-political tensions being played out on the athletics track not for the last time. The Games were filmed by Pathé, in what seems to have been a semi-exclusive deal. The Charles Urban Trading Company filmed events outside the stadium, including the Marathon, but within the stadium it was Pathé alone, an indication of arrangements to come. Around ten minutes survive, a selection of which can be found on the British Pathe site, while the same footage is also held by the BFI. Basic coverage is given to the pole vault, high jump, tug o’ war, discus, water polo and women’s archery, though no names are given for athletes. But what distinguishes the 1908 coverage is the Marathon. 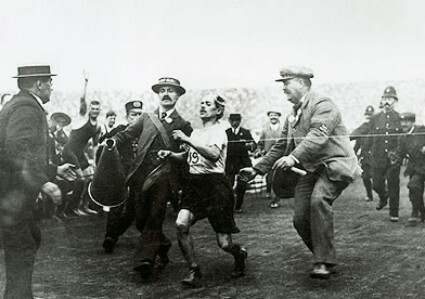 Around half of the extant film of the Games is devoted to the race, concentrating on the Italian Dorando Pietri, who staggered over the line first, only to be disqualified because he had received help after he collapsed in the stadium within sight of the finishing line (something the film makes quite clear). For the first time on film we thrill at the sight of Olympic endeavour. 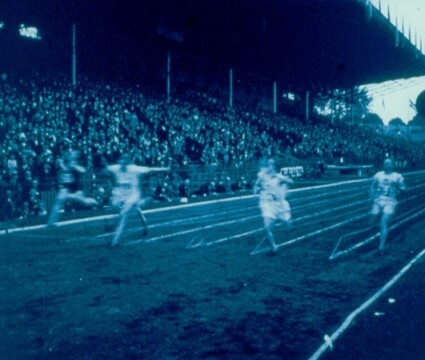 The Stockholm Games of 1912 were the most successful yet. Twenty-eight nations, 2,407 athletes (just forty-eight of them women), a triumph of organisation, and an event followed more eagerly around the world than ever before. Responsibility for filming the Games went to the A.B. Svensk –Amerikanska Film Kompaniet, which commissioned Pathé exclusively – apparently without controversy – to film a series of short newsfilms. All this footage survives in the archives of Sveriges Television. Now, at last, the athletes are named, and we get a sense of competition and achievement. In the first of two reels covering the Games held in the BFI National Archive, we see the inevitable gymnastic display, first by Scandinavian women’s team (for display purposes alone – women’s competitive Olympic gymnastics only began in 1928) followed by men’s team and individual gymnastics; the Swedish javelin thrower Eric Lemming, winner with the world’s first 60 metre throw; fencing, shot put, the 10,000 metres walk and the shot put, won by Harry Babcock of the USA. The second reel features men’s doubles tennis, the soccer tournament (Great Britain – not England – beating Denmark 4-2 in the final), Graeco-Roman wrestling, hammer throwing, the standing high jump, and the Marathon, run on an exhaustingly hot day that caused half the runners to retire. Filmed in engrossing detail, the drama of the Marathon is built up well, the tension in the sporting endeavour pushing forward the form of the film attempting to encapsulate it. The race was won by Kenneth McArthur of South Africa. The Sixth Olympiad was to have been held in Berlin in 1916. Those Games were, unsurprisingly, cancelled, though film exists of German athletes training for the Games. After the war, the Games were awarded to Belgium, which perhaps was not entirely ready for the compliment after all it had been through, and the 1920 Games were hastily and cheaply organised. Despite this, the growing world interest in athletic competition had continued to grow, and there were several notable athletes who made their mark on Olympic history, including the ‘Flying Finn’ Paavo Nurmi, America’s Charley Paddock winning the 100 metres, and France’s Suzanne Lenglen at the start of gaining worldwide fame as a tennis player. There is a tantalising suggestion in a New York Times article (28 Nov 1923) that an exclusive filming concession was organised for Antwerp, only to be overthrown before the Games because of protests from other film producers, but I have not been able to find confirmation of this nor discover which company was to have had the exclusive. But it is indication of growing American interest in the Games, and consequently increasing interest from the American media. Sadly, relatively few newsreels survive to show just some of the sporting events. And then we come to 1924. The second Paris Games have become familiar to many through their recreation in the 1981 film Chariots of Fire. There is a particular thrill in seeing the two British athletes whose fortunes are covered by the Oscar-winning film, Eric Liddell and Harold Abrahams, turning up for real in such detail. This was the first Games to be covered in depth on film. The exclusive rights were granted to Rapid-Film of France. As reported for 1920, there was controversy over a single company being granted exclusive filming rights, with the Americans being particularly aggrieved, to the extent that their rugby team threatened to withdraw from its match with the French unless they were permitted to film it. The concession was granted (the USA amazingly won the match), but the episode highlighted the organising committee’s anxious search for additional revenue by selling exclusive rights, and the outrage this caused for those who believed the Games should not be anyone’s exclusive. Though it could be conceived of as a single work, Rapid-Film’s Les Jeux Olympiques Paris 1924 was released in three parts in France (recreation of the Ancient Games, Summer, and the Winter Games held in Chamonix), and in the UK as a series of two-reelers dedicated to different sports. It was recently restored by the International Olympic Committee’s archives in its full length form, a daunting three-and-a-half hours long. There is too much about it that is drably routine, but individual events are never less than efficiently portrayed and occasionally marvellously so. Particularly thrilling is the football, where the Uruguyan gold medal winners demonstrate a level of tehnical accomplishment light years ahead of the sturdy endeavours of the European teams. The 100 metres, won by Abrahams, is a highlight, with choice details such as the athletes digging holes in the track for their heels. Slow motion is used artfully (particularly for the 3,000 metres steeplechase). The Marathon is a tour de force, a real drama in itself, with such carefully observed details as the anxious look of officials at the drinks stations (and how delightful in itself that the French served wine as well as water). Star athletes on show include Nurmi, his great Finnish rival Ville Ritola, the Americans Jackson Scholz (sprinter) and Helen Wills (tennis player), but disappointingly all we see of the future Tarzan Johnny Weismuller is his submerged figure in long shot as he raced to fame as a swimmer. Les Jeux Olympiques Paris 1924 (produced by Jean de Rovera) is no film masterpiece, but as a sporting record, it captures greatness. The flying Finns Paavo Nurmi and Ville Ritola in the 5,000 metres (won by Ritola). The clip shows the 1928 film’s distinctive use of onscreen titles. From the IOC’s YouTube channel. 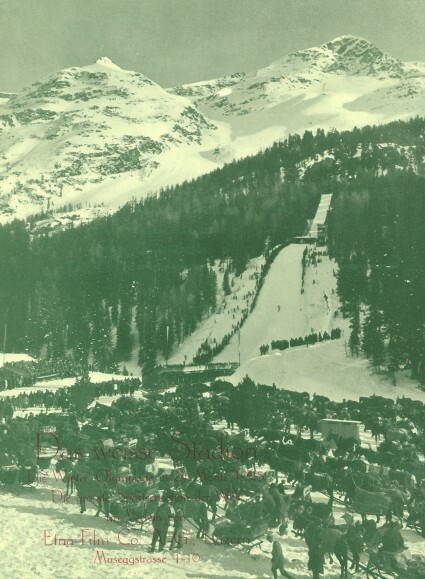 The last Olympic Games of the silent film era were held in Amsterdam (summer) and St Moritz (winter) in 1928. The Games were by now thoroughly established as an event of worldwide significance. The idea of a film dedicated to the Games had also been established, though the problems that beset the 1928 film of the summer Games, Olympische Spelen, were such that it was barely seen, and it remains little known. The history is complicated, but essentially in 1927 the Dutch Olympic Committee approached a federation of Dutch film businesses to manage the filming of the Games. Negotiations fell down over financial considerations – and because the Dutch commitee was, at the same time, negotiating with foreign film companies. A German company, Olympia-Film Ag, was originally awarded the contract, but heated objections were raised, OFA withdrew for financial reasons, and the committee ended up doing a deal with the Italian company Istituto Luce. For the first time a director was chosen with an ‘arthouse’ pedigree (Leni Riefenstahl’s Olympia of 1936 was neither the first Olympic film nor the first with a notable director, as some histories would have us believe). The director was the German Wilhem Prager, who had enjoyed notable success with the 1925 kulturfilme sports documentary Wege zu Kraft und Schönheit (Ways to Strength and Beauty), in which Riefenstahl takes a fleeting acting role. Prager’s film (preserved in the EYE Film Institute in the Netherlands) is no more than efficient, though it does have some innovations such as having the names of athletes in some distance races appear as captions alongside them as they run. The film shows us Nurmi and Ritola once more; Boughera El Ouafi, the Algerian-born (but running for France) winner of the Marathon; the ebullient Lord Burghley (played by Nigel Havers in Chariots of Fire) winning the 200 metre hurdles; and Japan’s triple jumper Mikio Oda, the first Asian athlete to win an Olympic gold medal. But alas, owing to the considerable mishandling of the whole affair by the local Olympic Committee, Dutch exhibitors boycotted the official film, and hardly anyone saw it. There was also a feature-length film made of the 1928 Winter Olympics at St Mortiz, Das Weisse Stadion. Directed by Dr Arnold Fanck (the man who discovered Leni Riefenstahl as a film actress) and Othmar Gurtner, it was made by the same Olympia-Film as was scheduled to film the summer Games (the commercial failure of the film led OFA to break its contract to film in Amsterdam), and edited by the great Walter Ruttmann. Until recently it was considered a lost film, but happily a print was just recently discovered and will be screened this August at the Bonner Sommerkino silent film festival in Bonn, Germany. Reports indicate that it is a beautifully shot film whose rediscovery greatly enriches our Olympic film heritage. Finally, to complete the history, note must be made of those Olympic athletes of the silent era who went on to appear in fiction films once their fame had been established through sporting endeavour. Johnny Weissmuller, star of the 1924 and 1928 Games, of course went on to eternal fame as Tarzan. 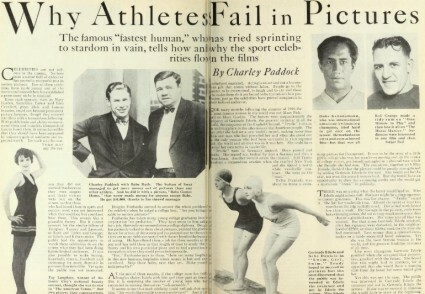 The American sprinting hero of 1920 and 1924, Charley Paddock, starred in Nine and Three-Fifths Seconds (1925), The Campus Flirt (1926), The College Hero (1927), High School Hero (1927), and (guess what) The Olympic Hero (1928). The Hawaiian swimmer Duke Kahanamoku was in five American Olympic teams between 1912 and 1932, but could also be seen swimming and acting in Adventure (1925), Lord Jim (1925), Old Ironsides (1926), Woman Wise (1928) and The Rescue (1929). Buster Crabbe, like Weissmuller a swimming champion in 1928, went on to become Flash Gordon, while Herman Brix (shot put silver in 1928) went on to become Tarzan and as Bruce Bennett starred in many films, including Treasure of the Sierre Madre. Jim Thorpe, for some the greatest Olympic athlete of them all, who won the pentathlon and decathlon in 1912 only to have his medals stripped from him when it was discovered he had earned money playing minor league baseball, played bit parts in numerous Westerns in the 1930s and was portrayed by Burt Lancaster in Jim Thorpe -All-American (1951). There are few histories of Olympic film, and where these do exist they either get elementary facts wrong or assume that everything started in 1936 with Olympia. As the above should indicate, there was a rich history of Olympic filmmaking going back to 1900, and many of the innovations in Olympic film which we might associate with later times had been achieved before films gained sound. One exception is Taylor Downing’s recently republished Olympia, in the BFI Film Classics series, which has a brief but generally reliable history of Olympic film prior to 1936 (though he overlooks the Amsterdam 1928 film). My long article ‘Sport and the Silent Screen’ in Griffithiana 64 (October 1998) has much of the history recounted above, though I have now had the opportunity to correct some facts, and amend some opinions, in ‘Rituals and Records: The Films of the 1924 and 1928 Olympic Games‘, European Review, vol. 19 no. 4, 2011, made available here by kind permission of Cambridge University Press © 2011 Academia Europæa. An excellent study of the media rights issues surrounding the 1924 and 1928 Games is Mark Dyreson, ‘Selling Olympic pictures: The Commercial Wars between Host Cities and the American Media during the 1920s’ (Proceedings of the 7th International Symposiums for Olympic Research). The best general book on the Olympic Games, by several miles, is David Wallechinsky and Janine Loukey’s regularly updated and republished The Complete Book of the Olympics, a sport-by-sport historical survey which also includes (if you look hard) information on the film careers of some Olympic athletes. The easiest place to see some of the films is via the International Olympic Committee. Under the Olympic Games section of its official site there is a mini-history of each Games from 1896 (excluding 1906), and in each of these sub-sections at the bottom of the page there is a Photo Gallery which also contains some video clips. Most of the same clips can be found on the IOC’s YouTube channel. Regrettably there is some truly foul background music. Information on the Olympic Games generally is all over the place, of course, but for the researcher particular attention should be drawn to the LA84 Foundation site, an astonishingly rich resource originally create to commemorate the 1984 Los Angeles Games but now providing free access to a vast range of digitised historical documents on all of the modern Games (including, for examples, the official reports). And finally, to bring things up-to-date, a film that we’ve already featured on the Bioscope but which it seems appropriate to publish again here. It’s called Boy, it was sponsored by British Airways as part of its Great Britons initiative for the 2012 Olympic Games, and it is a modern silent film, of some poignancy. My grateful thanks to Guido Convents, Carleton Hendricks, Robert Jacquier and Adrian Wood for help in writing this post. In this thesis I present the first detailed treatment of war and early cinema, describing the representation of conflicts in film from the Greco-Turkish War of 1897 through the Spanish-American War, Boer War, and others up to about 1902. I show that in attempting to cover these events, early filmmakers faced a difficult task, for warfare at the end of the nineteenth century was changing, relying more on defence and concealment and less on highly visible offensives; there was also increasing regulation and censorship of reporting. With the new tactics making battle less visible, and with increasing official controls, how could wars be represented on film? Surprisingly, in just half a decade, filmmakers found ways to cope, by developing new ‘genres’ of films such as acted fakes, and new exhibition strategies, and in these ways managed to present wars to the public of the time fairly effectively. This is a prodigious work. It runs to 565 pages, reaching to almost 300,000 words, suggesting that the University of Utrecht is fairly relaxed when it comes to word limits. Histories of the rise and fall of major civilizations have been written using fewer words, and Bottomore’s subject is not simply filming war, but restricts itself to only the very first films of war, and then only up to 1902, not daring to contemplate tackling the later Russo-Japanese War, Balkan Wars or the First World War. Instead what might have been a mere footnote in other histories expands into a major study of the impact of a new medium at a time when warfare itself was changing. It is a triumphant assertion of the footnote as the stuff of empirical history. Indeed there are an amazing 1,804 footnotes, many of them not simply bibliographic citations but instead an overflowing of ideas with indications of avenues of great interest down which others might profitably travel. The sheer breadth of the references is awe-inspiring. Bottomore is an internationalist, whose work as a researcher and filmmaker has taken him to many countries, each of whose archives and libraries he has scoured and scoured again, putting to shame all of us who might think that a few trips to the British Library or the Library of Congress count as exhaustive research. So, does the theme match the endeavour? Bottomore is interested in getting to the truth of how and why the first films of war were produced, and through this to demonstrate the richness of the early cinema period as a subject for study. At the time when motion pictures arrived and started to find their way in the world, the age of empires was coming to an end, with a host of conflicts that each in their way pointed to the great conflagration that was to be the First World War. Bottomore covers the Greco-Turkish War (1897), the Battle of Omdurman (1898), the Spanish American War (1898), the Philippine War (1899-1902), the Anglo-Boer War (1899-1902), and the Boxer Rebellion (1900). None of these was documented on film in the way that we might now expect. The technology was too limited – short film length, limited lenses, immobile cameras etc. – military censorship limited what could be filmed, audience expectations and sensitivies provided further constraints, as did the plain economic considerations of production in lands often far from the homes of film production in Europe and America. A. Actuality war film: a film of real people and events, shot at an actual war-related location, i.e. a non-fiction recording of reality (not with actors, nor filmed in substitute locations nor a studio). 1) Conflict-zone actuality: a film shot in the conflict zone showing military activity. 2) Arranged actuality: a film shot in the conflict zone with genuine troops, but in which the action has been ‘set-up’ to be filmed. 3) War-related actuality: a film which, while not shot in the conflict zone at the time of war, is somehow related to the war and shows military activity. B. Staged war film: a film about the conflict, shot with actors or scale-models away from the war zone. 1) Fake war film: a staged film which re-enacts an incident or event from the current conflict, and was not made at the real location nor with the real participants. 2) Staged allegorical war film: this type, rather than reproducing specific military incidents, portrays wider allegorical or emblematic themes. 3) Dramatised film about the conflict: a film made during or soon after the conflict which is more elaborate than a mere re-enacted battlefield incident. There are qualifications and sub-classifications that Bottomore adds to this taxonomy, but the essential categories are useful enough. The early cinema approached the documenting of conflict in different ways, variously determined by technology, taste, opportunity, prior example (including ‘pre-cinema’ image technology such as the magic lantern), economics and censorship. One does not simply film war – one makes a significant choice in how the war should be filmed, and how such films should be shown. 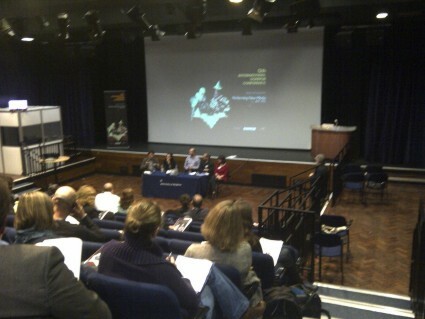 Audience understanding of what it was being shown – in particular the issue of so-called ‘fake’ films which recreated war scenes away from the battlefield in a form that would appeal to audience expectations of what should look like – therefore becomes crucial to understanding what these first war films were. … there was no blare of bugals [sic] or roll of drums; no display of flags or of martial music of any sort… It was most uncanny to me after my previous experiences of war in which massed bands cheered the flagging spirits of the attackers and bugals rang out their orders through the day. All had changed in this modern warfare: it seemed to me a very cold-blooded, uninspiring way of fighting, and I was mightily depressed for many weeks till I had grown accustomed to the change. On top of all this, increased regulation and censorship controlling the movement of reporters from a military which distrusted the media and sought to control the flow of information (including visual) about its activities, added further limits what could be filmed. A war where there was little to see was quite a challenge for motion pictures, still more when there was such audience thirst to see something exciting. Small wonder that producers turned to dramatisation (Villiers found that his limited records of the Greco-Turkish conflict lost out in audience favour to the dramatisations of the same war produced by Georges Méliès), collaboration with the military (filmmakers such as W.K-L. Dickson and Joseph Rosenthal staged ‘actualities’ with the co-operation of British forces during the Anglo-Boer War), and downright fakery (Edward Amet’s use of models to depict naval battles from the Spanish-American War). It is too colossal to be dramatic. No one can describe it. You might as well try to describe the ocean or the milky way. A very great writer could describe Waterloo. But who could describe the advance of Haig? No one saw it. No one saw a thousandth part of it. Instead we often require drama to explain the actuality. Selectivity and creativity (and personable actors) bring across to audiences the lessons of war, transmuting its huge complexities into something that we can understand, something that entertains us. From which have we learned most about the wars of today – the television news, or Three Kings, Battle for Haditha and The Hurt Locker? It all depends on what you are looking for. Film can never be an open window on war’s reality. Instead it is a narrow and distorting mirror, and it is the job for us as the audience to understand that distortion. But has film changed war? Bottomore references Paul Virilo’s argument, in War and Cinema: The Logistics of Perception, that the evolution of war over the twentieth century has been bound up with a change in human perception, itself profoundly linked to developments in photographic and cinematic technique. How war is seen impacts on what war is. This then begs the question what exactly war is. Are we still looking for hand-to-hand combat and those romantic cavalry charges? Is that really war? Or does the real fighting take place across desks, terminals, screens, and offices? The propaganda war is as powerful as the war itself, as we all know now. And that, ultimately, is what film has shown us. The real fighting has gone on elsewhere, and from 1897 all the way to 2012, the cinematic image has probably had no influence on that at all. Stephen Bottomore is a prodigious collector of information on early film from primary sources, but he is interested in ideas as well. He has read the theoriticans, and understands their work well enough to position early cinema within a broader world of ideas, while regularly expressing his disappointment at conclusions drawn by thinkers who have insufficiently examined the primary evidence. And it is the primary evidence to which he will always return: the quotation, the newspaper reference, the contemporary illustration, the catalogue – anything and everything that points not so much to the actuality of war as to the actuality of the films themselves. These films were made once; now we must understand them. That’s the simple message. Will Filming, faking and propaganda contribute to ideas on how we understand war and how we understand the moving image? Bottomore’s ultimate goal is to champion early cinema in all its rich variousness, and this limitation, together with the work’s immense length, may restrict its influence. But its impeccable research and its appreciation of socio-political contexts will pay off in the long term. This is a work on which it will become essential to rely from now on. One hopes, of course, that it will make it into hard-copy format eventually, though it will have to be greatly reduced if that happens. In this form, at least, Bottomore’s work is uncontrained by the harsh demands of an editor. Bottomore’s published books include I Want to See This Annie Mattygraph: Cartoon History of the Coming of the Movies (1995), an innovative study of early film through the cartoons of the period; and The Titanic and Silent Cinema (2000), a work much cited this year and increasingly admired (by Titanic-ists). His most influential work has been in articles, however, including ‘Shots in the Dark: The Real Origins of Film Editing’ (1988), ‘Out of This World: Theory, Fact and Film History’ (1994), ‘The Collection of Rubbish.’Animatographs, Archives and Arguments: London, 1896-97’ and most notably ‘The Panicking Audience? : Early Cinema and the ‘Train Effect’ (1999), on how people reacted to the first films. A collection of Bottomore’s best pieces would be most welcome, if some enterprising publisher were to take it on. It would certainly help cement the non-fiction film not just in early cinema studies but among the wider audience of historians working on this period who need a better understanding of just what film means to those times. Bottomore was one of the founders of Domitor, the international body for the study of early cinema, and has been a frequent editor of Film History. Unlike most film writers he has a strong background in filmmaking (North South Productions, producers of many documentaries on environmental and development issues). He has been everywhere, his passion for the subject undimmed. Now we have his magnum opus. Do download it, and read it. The Nineteenth Century Studies Association is holding its 34th annual conference at Fresno, California, 7-9 March 2013. The conference is entitled Loco/Motion and will explore the theme of travel and transport in the long nineteenth century (1789-1914, in case you weren’t sure). The call for papers asks for papers and panels that “capture the sense of movement at work and at play”. 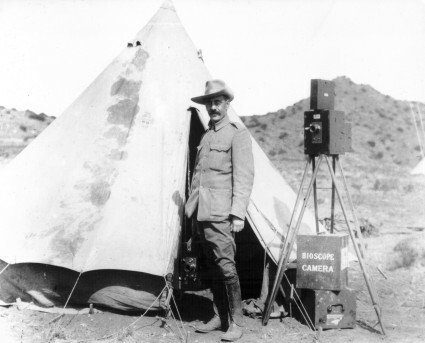 As part of the 2013 NCSA conference, Arnold Anthony Schmidt is seeking papers or presentations for one or more panels about pre-cinema and early film technology, as well as on silent film creators (producers, actors, directors) and images (representations of class, culture, gender, or race) produced anywhere before 1914. Film – i.e. “moving pictures” — fits neatly into the conference theme of Locomotion, which I interpret very broadly. If they like, scholars might address the theme literally (treating images of travel and physical movement) or metaphorically (e.g. technical evolution; camera movement; narrative or character development; cultural, historical, or psychological change). Feel free to email me if you have questions about the appropriateness of a topic for presentation. Those interested are invited to e-mail 250-word abstracts of 20-minute papers and one-page CV to Arnold Anthony Schmidt at aschmidt@csustan.edu by 30 September 2012. They hope to include screenings at the conference (as of course they should), so applicants should include details of materials they might wish to show. So, how has the digital revolution been for you? I’m taking part in a panel at the Domitor conference (Domitor being the international body for the study of early cinema, whose biennial conference is taking place in Brighton). The theme is ‘Digital Technologies and Early Cinema’ and four speakers have been asked to address the subject of the digital revolution’s impact on the study of early cinema. Each of us has been asked to kick things off by speaking for ten minutes on “how the digital revolution has changed your practice”. For me, it seems appropriate to write my response in the form of a blog post. So here it is. Hello. I was intrigued to see in the conference programme that the affiliation given with my name was not my institution but my website. My day job is curator for moving images at the British Library, where I am mostly concerned with television, news programmes and born digital media; so, the moving images of today. My hobby is early cinema, with its chief expression being a website, The Bioscope, which I maintain as an information source on those areas of early and silent cinema that interest me – and presumably others, since it enjoys a reasonably good readership for what is – let’s face it – quite an obscure subject, even within film studies. I have been writing The Bioscope for just over five years, during which time I have produced 1,364 posts (that is, individual pieces of writing), amounting to some 600,000 words. That’s seven or eight books’ worth, had I been so inclined to write books instead, but why put the measure in books? As I often say to people when talking about the site, more people read the Bioscope in a single day than probably have read any of the articles or books that I have written or co-edited have received in years. I’m not tied down by a need to achieve a quota of academic publication for any research assessment exercise. I simply like communicating things to people. And it gets read. The Bioscope allows me to choose whatever subject interests me, to write in a light yet informative style which suits the online medium and certainly suits me as a writer, and it gives me responses to what I am doing. Posts receives comments, the blog’s software tells me how many people have visited each piece of writing, individual posts get cited in any online (and offline) writings, and I am in contact with people from around the world, both early film scholars and those merely curious. The Bioscope is in a constant state of communication. Write poorly, or infrequently, and the viewing figures start to fall. The price paid for the attention is constant vigiliance. I’m not interested in reviewing films, nor in giving opinions as such. The aim of the Bioscope is to communicate information, encouraging others to explore the growing range of online research opportunities for themselves. So the site has come to specialise in information on digitised journals, newspaper sources, assessments of databases and other resources, as well as promoting conferences, festivals, publications and so on, broadly relating to early and silent cinema around the world. The emphasis is on early cinema in its different contexts – film as art holds little interest for me – and on the relevance of early cinema today. If it were purely an exercise in revisiting the past, it would be pointless. Early cinema must be of interest because it is relevant, because through its study we can learn more of the world. This, for me, is what the digital revolution is doing, showing how early cinema connects with the worlds that surround it. So, I’m particularly interested in early cinema in its various contexts – that is, the ways in which it connects with other forms of social, political, economic or cultural activity. This has been, of course, a major feature of early cinema studies in recent years, and something which Domitor itself has helped encourage through conferences such as these, with their impressive diversity of speakers and perspectives. It also connects my hobby with my work, because at the British Library I am chiefly concerned with the moving image medium as it supports other subjects, and how the digital world is providing opportunities not simply to increase access, but to facilitate the integration of diverse resources and to encourage new forms of discovery. I want researchers to pursue a particular theme and find the book, the newspaper article, the image, the sound recording and the film on that theme all in the one place, and to make exciting discoveries through these associations. And that’s what we must want for early cinema too. Having said all this enthusiastic stuff, there are aspects to this sort of writing that bother me. Firstly, that constant vigiliance can be wearing. One feels the need always to be finding new material, to be publishing with some degree of frequency, to stay fresh, to keep up those readership figures. These maybe entirely self-imposed pressures, but they exist all the same. Secondly, and more importantly, there is the possible impermanance of some many of these web resources on which we increasingly depend. I wrote a recent post about websites on early and silent cinema that have disappeared recently. They included such important sites as the Ariel Cinematographica Register and The Silent Cinema Bookshelf. Most websites, even after they have been taken down, can be found archived on the Internet Archive, and national libraries are increasingly moving into web archiving – the British Library hopes soon to start archiving the UK web space, for example. But web archives take only occasional snapshots of a site – perhaps four a year – and often they do not include associated media such as video files, while databases and other such complex underlying systems are beyond web archiving. Databases cost money to support, and more money to keep them up to date (a static database is a dead database), and we can’t depend on them to remain online forever. I have worked on a number of research databases, happily all still going, but each at the whim of uncertain funding, or change in the host institution’s priorities. Crucially, links to files and pages change when sites are changed, making citation hazardous. Fundamentally the web does not stand still, for as much as it adds such huge amounts, it also loses vast amounts, as old information is overlaid by the new. There are significant shifts in information power relations which may affect what we can access, and from whom. At the moment, we identify most research collections with the institutions that hold the physical originals. This makes the research web very much a reflection of the physical research environment. 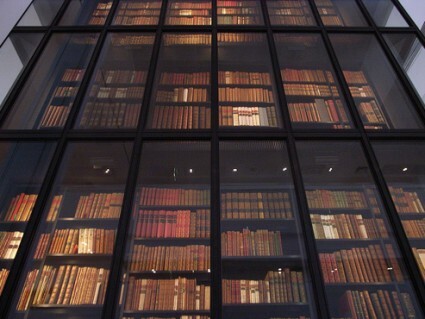 The website and associated resources of a body such as the British Library become an extension of its physical reality. But what happens when everything becomes digital? Who are the owners then, when anyone might manage, host or otherwise point to digital resources if they have the means to do so? What is the purpose of a physical library in a digital world? Who will need libraries or archives at all, in the long run, if Google can do it all for us? And if the private sector largely takes over that which traditionally we have expected to be delivered by the public sector, what will the access be like, what will be the price we pay for it, what will we have lost? I don’t think our national libraries and archives are going to disappear, and I think access is only going to increase and to be fabulous, though we will have to pay more for it than has been the case up until now. I do think that new kinds of institutional-like sites will emerge, however, which could supplant the work of some of the traditional institutions. The Media History Digital Library, for example, a non-profit initiative which is digitising extensive numbers of classic media periodicals that are in the public domain; or even the humble Bioscope, if it wants to become a focal point for the discovery of early film research resources. 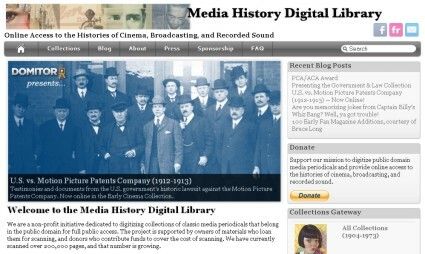 But how long will the Media History Digital Library last? Will I get bored of The Bioscope tomorrow and go off and do something else instead? The web world feels so impermanent, like it has been built on a whim. The web world feels so impermanent, like it has been built on a whim. The web is not going to disappear. It is where we now discover, interpret, re-use and share our researches. It is where early cinema belongs. But we’ll never be able to be completely confident that what we find online today will still be there tomorrow. And it is hard to build scholarship on such uncertainty. I said that the value for me in early cinema is its connection with other subjects. This is what has been so good about the digital revolution, showing how early film fits in, not only with the world that created it, but with our world today. Indeed, at times I’m surprised we still have early cinema studies and it hasn’t evolved into something else, giving the associations and connections the digital environment provides. It’s why I so enjoyed Josh Yumibe‘s paper yesterday, which talked of the use of colour in our field, but threaded together an argument that brought in Hunger Games, Harry Smith, Loie Fuller, Scriabin, Kandinsky and D.W. Griffith, making early film concerns timeless and relevant. As an expression of this, and as sort of tribute to Yumibe’s paper, I’ll finish off with a video which I posted on The Bioscope last Christmas, when not many people saw it, so here’s a chance to do so again. It brings together our world and their world in a witty and thought-provoking fashion, and demonstrates for me that the digital revolution has been, more than anything else, such fun. Format: A two-and-a-half day conference that combines plenary lectures, concurrent paper panels, workshops, and film screenings with live accompaniment at the Pacific Film Archive. Concept: This conference will address the emergence and historical development of “location” as a cinematic concept as it underwent a series of important transformations in the first few decades of the twentieth century. Concepts of location have become more interesting in recent years as digital artists increasingly render well-known and entirely fictional urban and natural landscapes using sophisticated digital tools. Studio sets have given way to green-screen spaces, and iconic landmarks are subject to new forms of digital manipulation. Reflection on contemporary media practices has created intellectual curiosity about the idea of cinematic place as a historical phenomenon in all of its various manifestations. During the silent era, filming moved from interiors to exteriors, and from low-tech production sites such as the Black Maria to studio cities like Cité Elgé, Babelsberg, and Universal City. Whereas some national and regional cinemas became closely associated with natural location settings, others were identified with the manufacture of locations through in-studio simulations or the effects of montage— “creative geography” in the widest sense. In turn, location-dependent genres such as Westerns, travelogues, ethnographic films, documentaries, and city films developed specific attachments to place. Exhibition locations shifted from vaudeville theatres to nickelodeons to picture palaces and from urban centers to small towns. Hollywood’s simultaneous development as a real and imagined place affected models for studio filmmaking and cinematic geography around the world. This conference asks: How was the idea of “location shooting” developed alongside and sometimes in opposition to “studio set”? When and how did “location” emerge as a complex site of production, a lure for audiences, a generic rubric, and a guarantee of realism, as well as a site of artifice and fantasy? How was the cinematic articulation of a broad range of locations influenced by pictorial traditions such as the picturesque, landscape painting, and photography? What are the social and political implications of these varied sites of production and exhibition? We welcome proposals from scholars in a variety of disciplines and will consider both silent-era and historically comparative approaches. International perspectives are especially welcome. Submission process: Proposals should include a title, an abstract (500 words max), a short bio (150 words max), and mention of any A/V needs. The papers themselves will be limited to 20 minutes, including any audio-visual material. Proposals should be submitted by October 15, 2012 to theconference@berkeley.edu, with notification by mid-November. So there you are. Get scribbling (if you are so inclined), and let’s hope that the Berkeley conference becomes an established part of the silent film studies landscape. I think we’ve said before now that silent film accompanist Ben Model is probably the most web savvy among his peers, with a smart grasp of social media and an infectious keenness to share the silent film medium with everyone. His latest venture is a case in point. His YouTube channel already features a number of great silent comedies to which Model has supplied new musical scores taken (with permission) from DVD releases. Now Model is taken 16mm silent films from his personal collection, which are primarily obscure comedies of the kind unlikely ever to be programmed or released on DVD, so the best chance anyone is going to get of seeing them is if someone does a video transfer and sticks them on YouTube. This Model is doing, as the delightful introductory video above explains. Just subscribe to www.youtube.com/silentfilmmusic and every other Wednesday you’ll receive notice of the latest video he’s uploaded, with his own piano or organ score, naturally. There’s just the one video there so far, Cook, Papa, Cook (1928) a typical example of a minor knockabout comedy of the period (in this case starring Henry Murdock, Lucille Hutton and Eva Thatcher). It’s no masterpiece, but it’s cheerful fun, and certainly whets the appetite for further fortnightly treats. and probably a lot more that I’ve missed [update: indeed I did – see comments]. Anyway, a great initative from someone who’s just at home online. Do sign up, or just keep visiting the YouTube channel regularly. I don’t know what might be the cause, but there has been a dearth of silent film-related conferences so far this year. Maybe the upcoming Domitor conference (from which the Bioscope will be reporting) has so dominated the landscape that there hasn’t been the urge to come up with anything that might compete with it. Or maybe it’s because we don’t need to confer quite so much these days because we’re all talking to one another online (now there’s a topic for discussion). But film conferences aren’t quite dead yet, and a call for papers has just been issued for Silent film sound: history, theory and practice, which is to take place 22-23 February 2013, at Kiel, Germany. The conference, which takes its title from Rick Altman’s highly influential book Silent Film Sound, is being organised by Christian Albrechts University Kiel, in collaboration with Kiel Society for Film Music Research. With a few exceptions silent cinema was never silent. Cinemas and other spaces of film exhibition were in fact rather loud places where music, voices and sounds intermingled during the screening. Today public interest in silent cinema is on the rise. Film screenings with live accompaniment have gained popularity in recent years, silent films are shown in concert halls and at festivals and they are (again) staged as events and not simply as presentation of a piece of entertainment or art. Music and sound for silent film are relatively young fields of study and most research focuses on the American tradition. With this conference we seek to expand the field for other – especially European – regions, and compare them with well documented American cases. We aim to gather scholars from various disciplines, to discuss and reflect on current and historical approaches to the study of sound and music and moving images. We particularly encourage both musicologists and film scholars to participate in the debate surrounding this topic, in order to benefit from each other’s perspectives and to challenge prevailing views and methodologies in this thriving field. Ultimately, we aim to strengthen the European and international research network concerned with the variety of sound and musical practices in silent film accompaniment. We also want to discuss contemporary practices of silent film accompaniment and explicitly invite musical practitioners to share and discuss their experiences with us. Proposals (max. 350 words) for 25-minute presentations should be sent to Claus Tieber (claus.tieber@univie.ac.at), no later than June 30, 2012. Please include a short biography, all current contact information (name, e-mail, phone number, affiliation) and specific AV requirements. We plan to publish a book based on the refereed proceedings. Well, that looks like a fairly thorough survey of the kinds of questions likely to be thrown up by such a subject. It’s quite close in its preoccupations to the recent Sounds of Early Cinema in Britain project, and seems to be part of a welcome trend of cross-disciplinary investigation, with musicologists (hopefully) as likely to be attracted to the themes as film historians. You can always find information on early and silent film conferences, future and past, on The Bioscope’s Events pages – and do let me know of any other such conferences coming up.